What a thrill that a new anthology has been published that is entirely dedicated to Irish women writers! Over the past two years I've become particularly enthralled by Irish writing and much of it has been written by women such as Anne Enright, Mary Costello, Edna O'Brien, Eimear McBride, Audrey Magee, Sara Baume, Belinda McKeon and Liz Nugent (some of these authors are included in this anthology). While I've also read many fantastic books written by Irish men it's sadly unsurprising that looking over many anthologies of short stories from Ireland (and around the world) that the authors included are “heavily weighted towards male writers” - as editor Sinéad Gleeson notes in her introduction. “The Long Gaze Back” is a necessary correction giving a platform to the huge diversity of writing by Irish women over time. 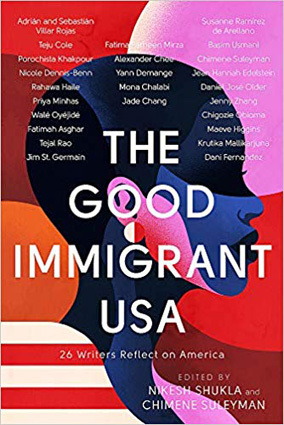 Even if the literary cannon hasn't always included them and some of these authors' books have gone out of print, this anthology proves that these voices have always been there. As the title suggests, it's an anthology focused on looking back at a rich and varied literary history giving a sampling of stories that encompass a range of themes and writing styles. The first writer included was born in 1786 and the last story is by a writer born in 1986. This offers a fascinating oversight to how the tone and subject matter of fiction has changed over two centuries. Although the language and themes have evolved radically over this time, the emphatic sense each story gives that the author has something important to say has not. There are also surprising parallels that can be drawn. For instance, a parable by Maria Edgeworth written in the early 1800s about the way appearances can be deceiving when impulsively buying something is echoed in contemporary writer Belinda McKeon's sentiment about online behaviour and internet purchases: “There is always, sunk into those pages, the feeling that an ordered, layered, perfectly furnished life is within reach; that the clicks will bring into being a settling experience, a fitting of everything needed and everything already, awkwardly in possession into their rightful slots.” Another story by Mary Lavin shows how a widowed woman maintains her independence fending off the advances of a man who comes calling while Eimear Ryan tells a story of a widow who deals with her grief by actively seeking men out. The farcical and hilarious story of a man's extended train journey with a salmon by writing-team cousins Somerville and Ross is echoed in Lisa McInerney's tragicomic and explicit tale of a man's drug-fuelled night out. The intense feeling for the loss of an infant child in Maeve Brennan's brilliant story is given a different slant in Lucy Caldwell's beautifully-descriptive and cleverly-structured story of the tense and precarious early days in the life of a newborn. Viewing this wide range of short stories as a group gives a special insight into how similar ideas can be approached from different ways that are more meaningful for the time in which they are written. Some of the stories deliver suspense and tremendously climactic scenes such as a tale by Elizabeth Bowen about the return of an old lover or Nuala Ní Chonchúir's story of sisterhood between women at odds with each other in a time of great need. Other stories focus on quiet moments of reflection as in Siobhán Mannion's story of a woman stealing privacy in a morning swim or Evelyn Conlon's story of a sister she believes to be lost in Australia. Some of this fiction such as the urgent and impactful 'Beneath the Taps: A Testimonial' by Anakana Schofield shows a tremendously inventive style of writing that breaks boundaries for how a story can be related. There are fantastic moments of quiet transgression in stories by Mary Costello about a woman who steals her neighbour's dog that is being abused and Kate O'Brien about a woman touring Italy who receives an emphatic and spontaneous proposition for an alternative life from a stranger. Stories by Roisín O'Donnell and E.M. Reapy hint at the process of change in Ireland, the coming and going from other countires creating national and racial diversity in the country's culture. And this wouldn't be a proper Irish book without a good deal of mulling over death such as the story by Eilis Ni Dhuibhne where a woman tends a grave or Bernie McGill's tale of how a family emotionally deals with a funeral or Niamh Boyce who invokes a voice from beyond. I really enjoyed taking my time reading this entire anthology over a long period of time and I'd suggest you do the same. These are stories to be savoured and enjoyed. They invite you to seek out more work by these talented authors as each story is proceeded by a biographical brief that lists the authors' other publications. And I do now feel compelled to read much more by these writers. It's somehow reassuring that the voices in stories by authors I've read before like Eimear McBride and Anne Enright are most assuredly from those writers, but their technique and subject range prove to be dramatically different in this new work. Other stories by authors I haven't read before like Maeve Brennan and Christine Dwyer Hickey hit me like a slap making me wonder why I've never encountered their writing before. This is an anthology with many different points that you can spring off from, but it's also an important book with tremendous scope to be savoured by itself.